Impeccable and beautiful unit with a stunning view of the vineyards lakes and golf course! This unit has an open, modern floorplan, with 3 bedrooms and 3. 5 bathrooms, and an additional 500+/- square feet of outdoor living space. It is being offered furnished, was recently painted throughout, is move in ready, and shows like a model. Private elevator brings you to the double door entry, which opens effortlessly into foyer and then great room area, leading you to the oversized lanai and a panoramic view that will take your breath away. 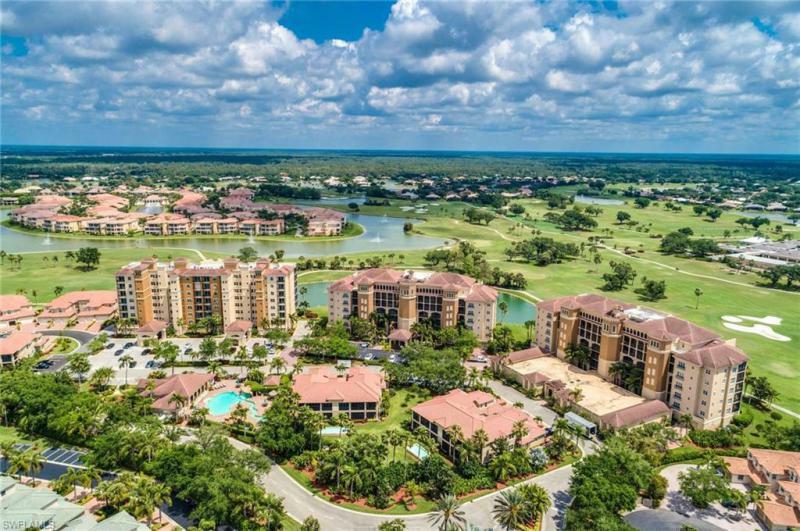 Beautiful flooring, ss appliances, top of the line window treatments, and wonderful appointments throughout the entire unit will delight you, and the resort style living in vista pointe will help you enjoy and love the happy, healthy lifestyle that naples can offer. This unit is conveniently located next to both the private vista pointe community building and outdoor spa, and the vineyards country club with optional private memberships. Fiber optic integration to support high definition tv, next generation internet, and carrier class telephone services included in association quarterly fees. C. 15910 - the resort lifestyle awaits you! Enjoy a sun kissed lanai and beautiful panoramic views of the golf course and lake from this capri model at vista pointe in the vineyards. A well appointed and open floor plan offers many amenities including a garage space, extra storage, brand new bedroom carpets, crown molding, hurricane shutters and 1 year old a/c system plus a semi-private elevator delivering you to your front door. Relaxation is the order of the day in the friendly atmosphere of the community clubhouse featuring a gorgeous pool area, caterer's kitchen, library, grilling area and exercise room. The vineyards country club has been recently remodeled including a state of the art wellness center with optional memberships to suit your needs, there are 36 holes of golf, 12 har-tru tennis courts as well as a resort style pool and spa. Terrific location for access to beaches, shops, dining, physician regional hospital and all that makes naples such a desired destination. Make this your home away from home! This move in ready home boasts of many upgrades to include wrap around & screened loggia that provides a panoramic view that overlooks the world acclaimed vineyards golf course. Gently lived in and thoughtfully appointed interior finishes & upgrades to include travertine tile on the diagonal throughout living area and hardwood flooring in den with neutral carpet in bedrooms. Crown moldings, plantation shutters, window treatments, designer fans & lighting through out, kitchen to include a center island, upgraded cabinets, stainless steel appliances and a breakfast bar. Large spacious master suite with private lanai access, walk-in closets, his and hers vanities and mirrors, a make-up area, tub and shower combination. Plus, guest bedroom with lots of of storage. If it could not get any better this unit has 2 parking spots in an underground garage unique to vista pointe, with a large garage storage unit. Included in association fees are fiber optics for high definition tv, internet, telephone services.